There are many add-ons are available on internet by which you can download the YouTube videos very easily. 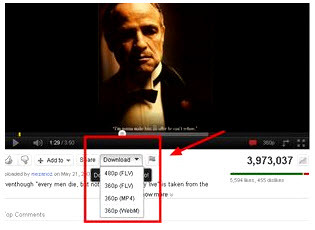 You can get different number of YouTube downloader add-on for chrome, Firefox and safari browsers. You just need to install them, and once you install the suitable add-ons for your browser, restart your browser to use your browser with new add-on option. YouTube video can be downloaded very easily once you restart your browser. You will get an option to download the video in the red button below the player. 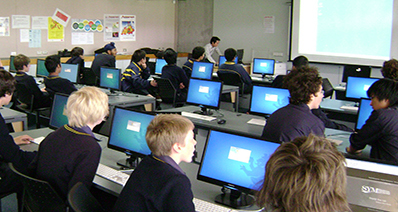 In this article we will learn about different add-ons for different browsers. If you want to download your favorite videos to your computer or cell phone directly with a YouTube downloader add-on then I would recommend you to download iTube Studio YouTube Downloader for Mac (or YouTube Downloader Windows). 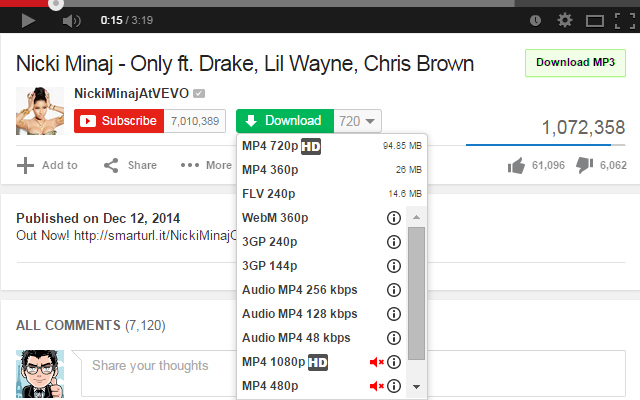 This YouTube downloader add-on can be used to download videos from number of websites. With iTube Studio you can record high quality of video and can convert it to a specific format. 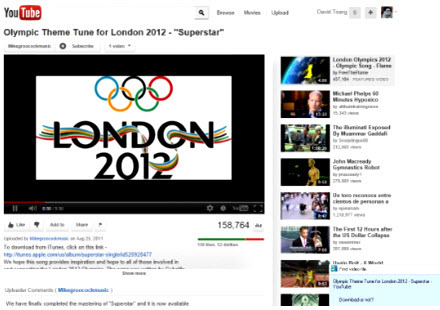 iTube Studio - One Click Download YouTube with Add-on Chrome, Firefox, Safari, etc. Download videos with downloader add-on from YouTube, Vevo, Dailymotion, Vimeo and 10,000+ online video sites. Convert the YouTube video to MP3 format or other media format with Download then Convert feature directly. Support to download all the videos from a YouTube playlist, channel, category at 3X faster speed. Transfer feature helps to transfer all the downloaded YouTube videos or music to mobile devices to enjoy anywhere. Directly download media files from a sharing link of backup services like Dropbox, OneDrive, Google Drive, etc. Private Mode to fully protect your video downloading information with a password set. First of all, you have to download iTube Studio Best YouTube Downloader, after that click on iTube Studio icon to launch. 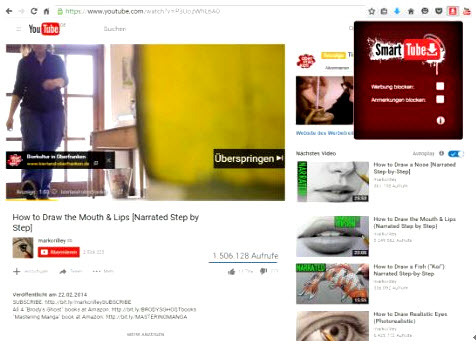 Then, add iTube Studio extension manually to the Chrome, Firefox or Safari. If you don’t know how to add then follow the given steps below: Open Google Chrome store and add TamperMonkey extension to the Chrome, then install iTube extension under TamperMonkey. Once the above process successfully completed, go to YouTube and click on the video that you would like to download. 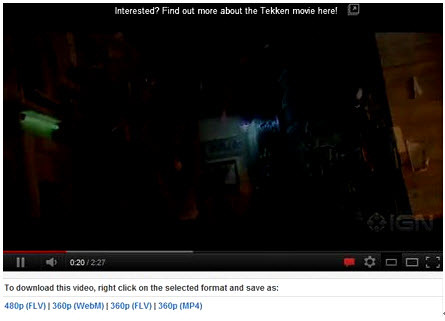 Now, you can click on the “Download” button that will show up at the top left corner of the YouTube online video player. 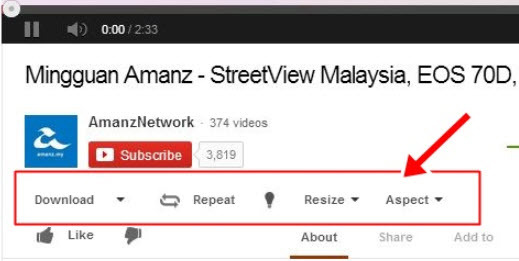 Another way is to download YouTube videos from URL, which is also faily easy, all you need to do is to copy the URL and then paste the URL by clicking the "Paste URL" option. Then the YouTube downloader will automatically start to download the videos. 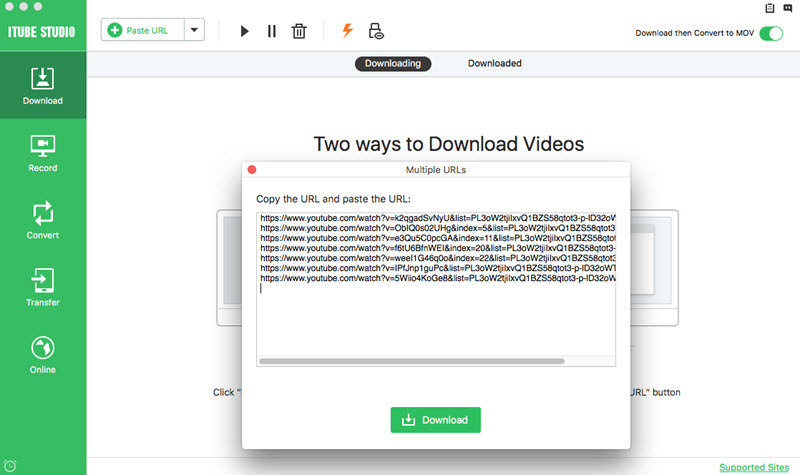 In this video downloader you can enter or search for any video you like or just simply enter the URL of the video you like to download and it will download your video. It supports .MP4 and .FLV format so the download videos will be in these formats. The solid YouTube Downloader and converter help you to download the videos from YouTube and convert them into any format like AVI, MP4, and FLV etc. 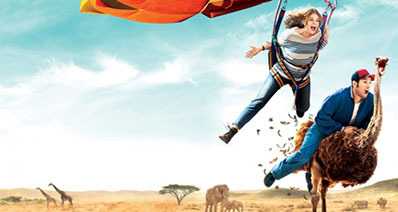 You can download and convert the videos in different formats with this add-on. 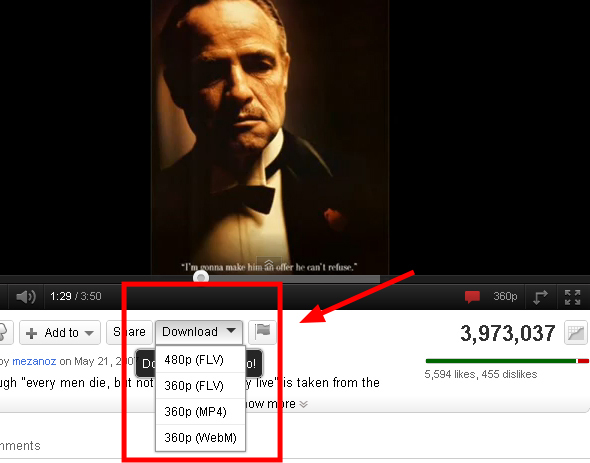 This downloader supports Google Chrome to download the YouTube videos. You just need to type or enter the URL of the video to download the video. It is compatible with YouTube, Smotri.com, Facebook and many more websites. The design and working of this downloader is very simple. You will not find many features in this downloader but if you want to download the YouTube video, then this downloader will help you. This downloader will allow you to download the videos from any video streaming website, YouTube, Dailymotion etc. You can download videos in many formats with this downloader. It’s also very easy to use as it provides you the button of download to download the video below the player. You can use this downloader directly with your Chrome browser. It can be used to download the videos and audios as well in many formats like MP4, FLV, WebM etc. 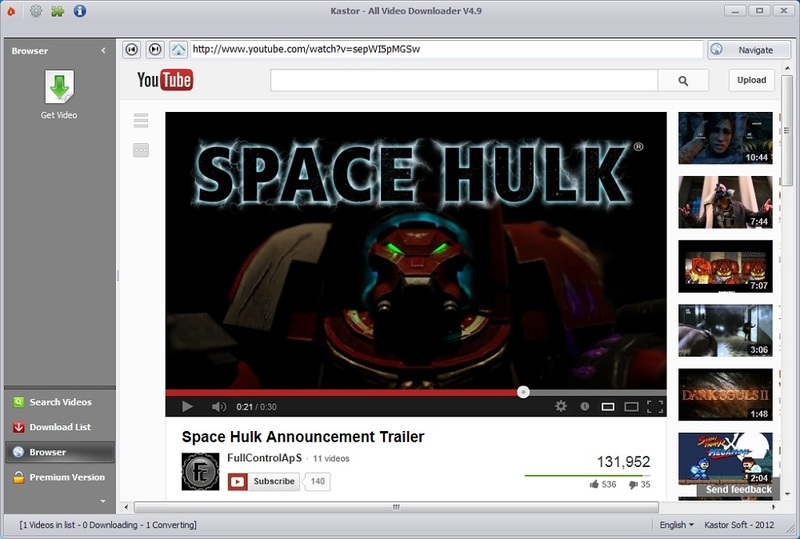 This add-on is also supports all type of browsers to download number of videos. You can also convert the download video to MP3 format with this downloader. In this you will get an excellent sound quality with the number of formats like FLV, HD, MP4 etc to enjoy the downloaded music. In the end, in this downloader when you are watching the video, you will get an option of “Download MP3” and it will help you to convert the video to MP3. The easy YouTube downloader Express can download the video from YouTube in HD 1090p format. In this downloader, you can select any format as it supports a number of formats from low to HD quality. Maximum number of people uses this downloader to download the videos. You can download videos from YouTube and many more other websites like Google Videos, iFilm, Porkolt etc. 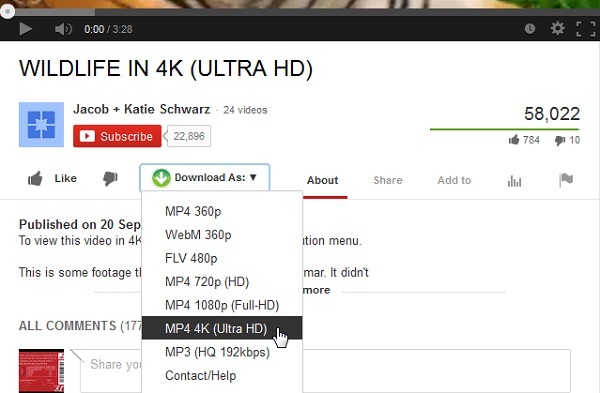 You will get subtitles in the download videos with YouTube Video and Audio Downloader. 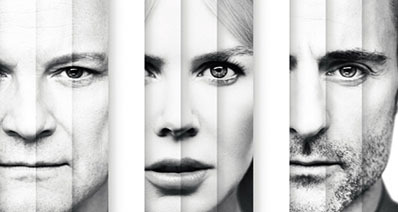 The files downloaded and extracted by this add-on is all original files. With the help of this you can download flash files from any gaming websites and you can use this add on to download the videos. The function of this add-on is to provide you buffer less video with high quality videos to download. This is an amazing video downloader by which you can convert audio files with number of formats and you can block the ads on YouTube. With this add-on you can download as well as convert the videos from high to low resolutions. This downloader is known as a powerful media converter. 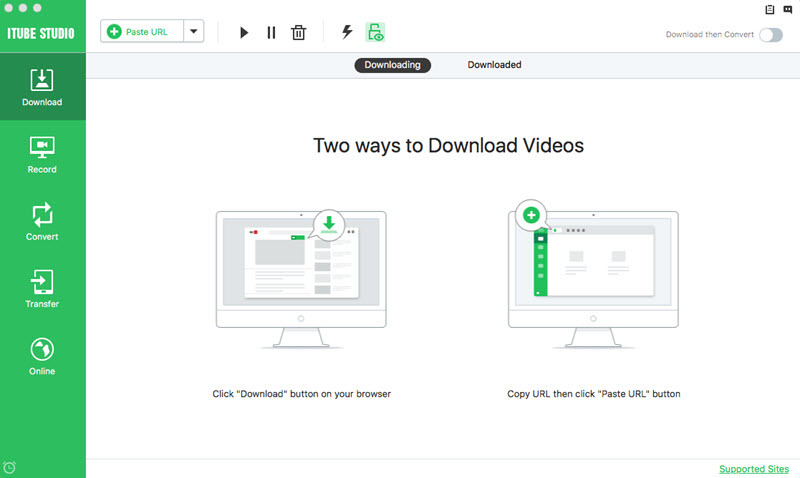 The video download helper add-on can help you to download videos, audio and image files from websites like YouTube. You can receive the notification whenever a new video of your choice is available. 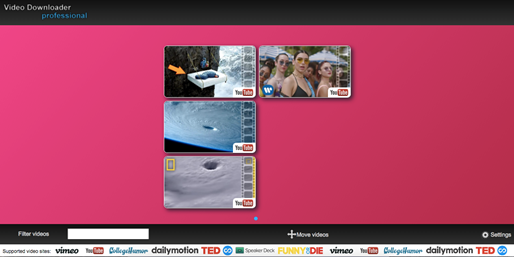 You can download and save videos from YouTube, vimeo and many more websites. This add-on supports up to 4k videos.